On Sunday, March 3, 2013 the communities of La Puya celebrated the one-year anniversary of non-violent resistance to the Tambor (Progreso VII) mining project, owned by US company Kappes, Cassiday & Associates (KCA). 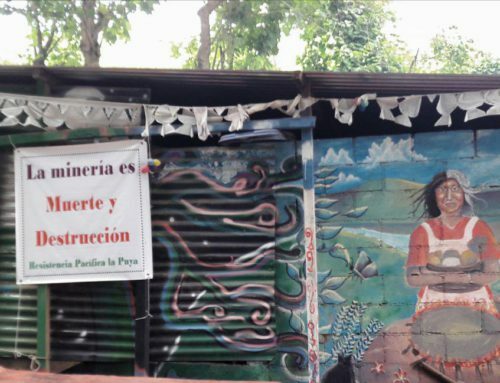 During this year of struggle and resistance hundreds of citizens from the municipalities of San José del Golfo and San Pedro Ayampuc, which surround the potential project site, have maintained a constant presence at the entrance to the mine and have endured violent attacks, intimidation and threats of eviction. 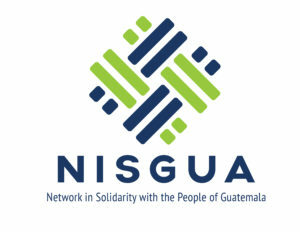 National and international organizations joined the population at La Puya in marking this important date, celebrating what has become known nationally and internationally as a legitimate and peaceful resistance to a project that threatens to cause irreparable damage. This celebration comes just weeks after mining and environmental engineer, Robert Robinson, in collaboration with the MadreSelva Collective, presented a scathing analysis of the Environmental Impact Assessment (EIA). The EIA was carried out by then joint owners of the project, Radius Gold and KCA’s Guatemalan subsidiary EXMINGUA, and approved by the Guatemalan Ministry of Environment and Natural Resources (MARN). The purpose of the EIA is to set out the obligations of the company to protect public health and the environment, and the mechanisms for monitoring the completion of these obligations. In his report Robinson highlights the numerous flaws of the assessment, most importantly, the incomplete analysis of the impacts of mining activities on surrounding water sources in an area with high levels of naturally occurring arsenic; in some cases baseline arsenic levels in water are 10 times higher than the health standard. The report contains vague, at best, requirements for environmental monitoring and contains no mention of a financial guarantee for mine reclamation, which is considered essential for restoring the environment after mining activity has ceased. The analysis of the Progreso VII mine is just one of four carried out in Guatemala by Robinson with the support of local organizations and communities. In each of the reports, he identified similarly incomplete, vague and irresponsible analyses of the potential risks and necessary monitoring of mining projects. However, in many cases, including that of Goldcorp’s Marlin and Cerro Blanco mines, MARN approved these deficient reports, demonstrating a willingness to push through mining projects without adequately addressing issues of public health or environmental damage.